Pixlr-o-matic is a small but effective online image editor that enables you to quickly apply various fun effects to your pictures. Online photo effects and vintage! After uploading your picture to Pixlr-o-matic (or even directly capturing image with your webcam), you will be greeted with several options. You can choose basic color of the overlay filter, and then browse through available textures that you can apply. To finish, you can pick the best frame for your new fun masterpiece. With fast interface, simplistic controls, and ever present “quick preview” feature, you will able to create fun and interesting pictures that can easily be shared with your friends and family. Each picture you make will be offered to you for download, but with only few clicks you can forward pictures to your favorite social network where they can be seen by all your friends. Over the last few years, smartphone users managed to receive many applications that can very easily enhance the pictures that users are taking with their mobile cameras every day. With picture sharing becoming more and more popular with the rise of every new social network or image hosting site, computer users also started getting access to services that are aiming to give ordinary users truly effortless tools to image editing. Great Online photo effects and vintage! One of the best apps that are focused on just that is Pixlr O-Matic, great tool for very quickly modifying your images directly from the browser of your internet-connected home computer or laptop. Pixlr O-Matic is the smallest and the easiest-to-use image editing tool created by Pixlr, Swedish development team that was purchased in 2011 by Autodesk (creators of the extremely popular professional design editor AutoCAD), created not to offer incredible insights into the world of image editing and customization, but to offer every user ability to extremely easily and quickly make their images and photos incredibly eye-catching by following five simple steps. First you need to load image into the Pixlr O-Matic editor (either from your local file or via Web Cam capture). Then comes the 3 most important steps –Adding of the main image filter (Instagram-like color distortion that can make your ordinary image pop),adding of the special transparent effect over the image (stylish lines, bubbles, gradient effects, lens flare effects, scratch effects, glitter, various imperfections)and finally for the end border or frame (over 40 of them) that can provide much better focus on the content that is represented in the center of the image. After all that is done, simply click on the button “Save”, pick a filename, and the file will be downloaded on the local storage of your computer. 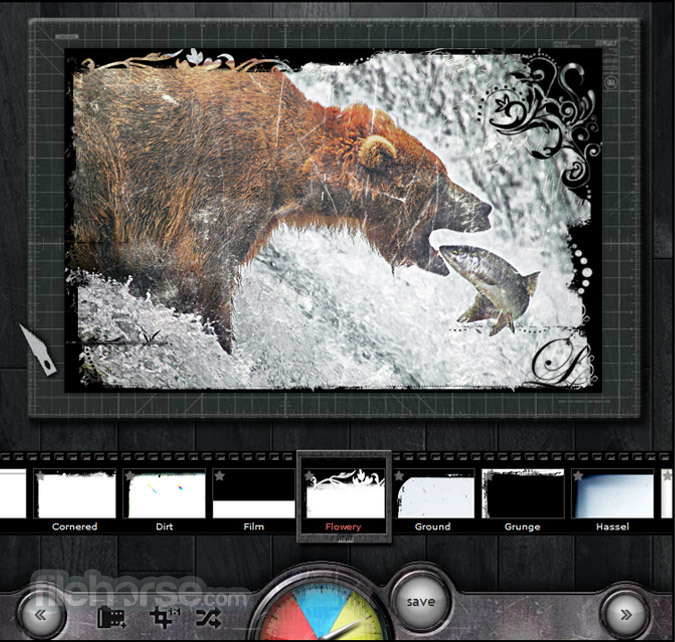 As you can see the entire process of the use of Pixlr O-Matic is very streamlined, enabling even the users that have zero experience with image editing to instantly learn how to control its simple interface and apply some of the dozens and dozens effects that can significantly enhance the look of their images, drawings, screenshots or photographs. Online photo effects and vintage! 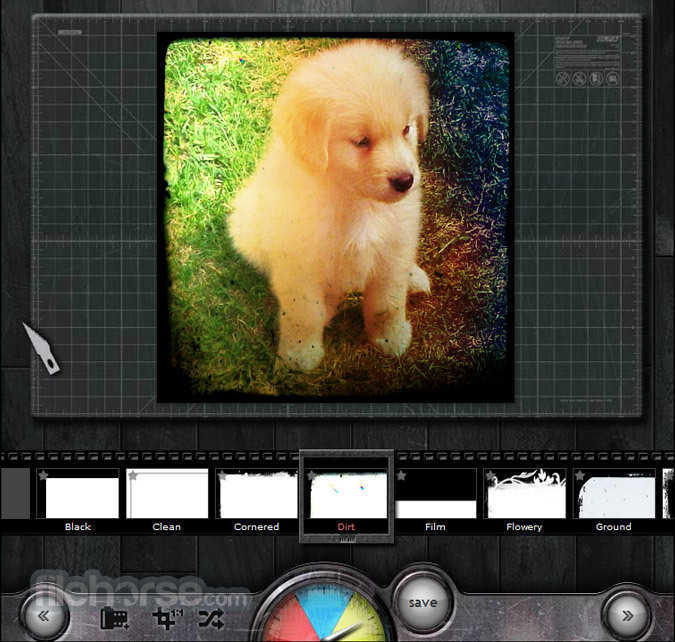 Pixlr O-Matic is an app that everyone will be able to use with ease. 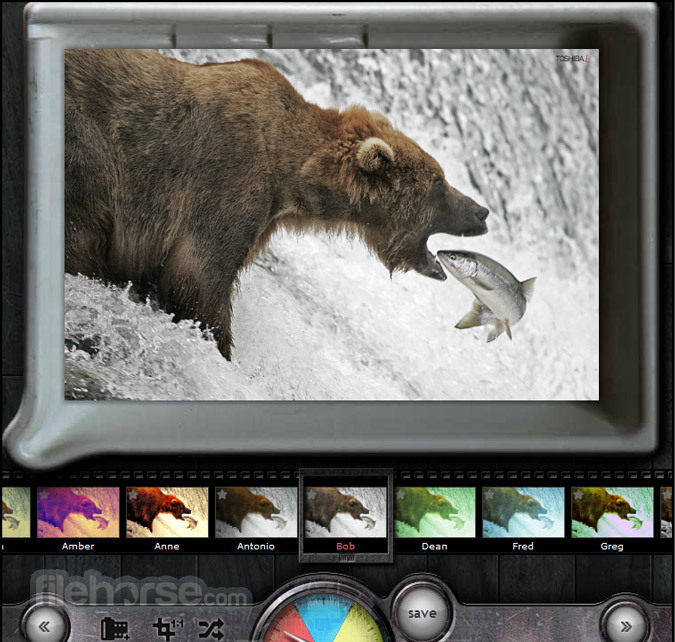 Main dash of the app offers you 4 ways to load images – from local storage, from webcam, from online Pixlr gallery of examples and finally your previous images your edited with this services. After that, image will be loaded into preview canvas and below it will be just 3 main tools that each opens bar with list of effects. Simply pick one effects from each of those 3 categories, and then simply save you image. It’s that simple! 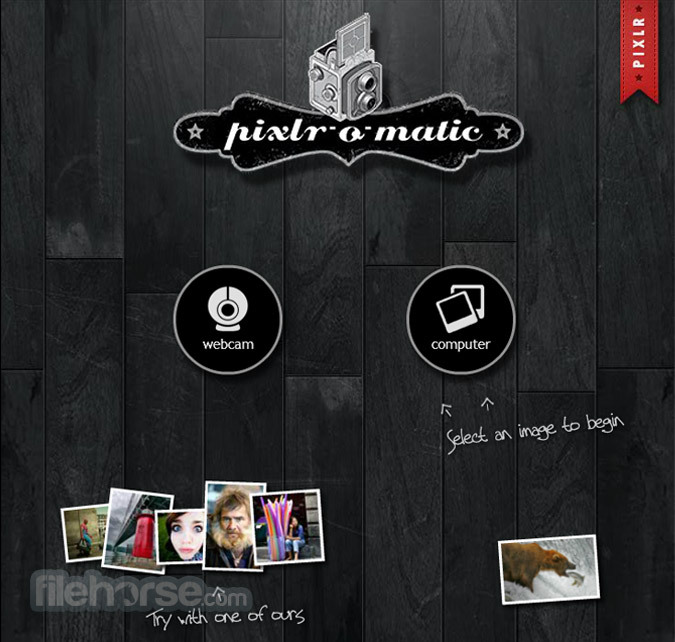 As all other Pixlr services, Pixlr O-Matic is 100% free and offers zero limitations on editor usage. 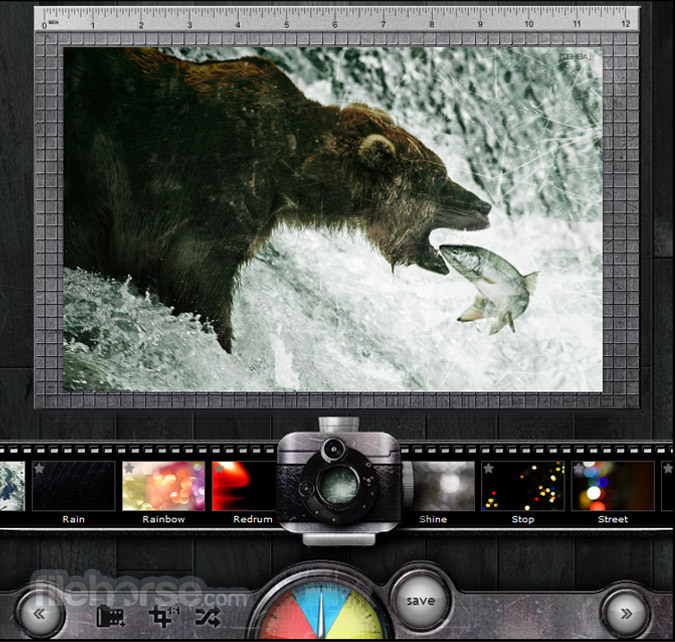 No matter how little free time you have on your hands, how technically versed you are or how much eye-catching effects you want to add to your (often boring) images, you have to visit Pixlr O-Matic and do all that in mere seconds for absolutely free.